Here’s what I was originally cooking up last week! A whole episode chock full of classic ska. I really can’t believe that I haven’t played most of these before. I know some of the mastering of these songs is a little shoddy, and even bought some new ones because the transfer is so much better on comps that came out a few years ago vs. the comps I bought back in the ’90s. This is the roots, this is the good stuff, hope you enjoy! Back again with another round of 1970s ska, or rather, ska and rocksteady! 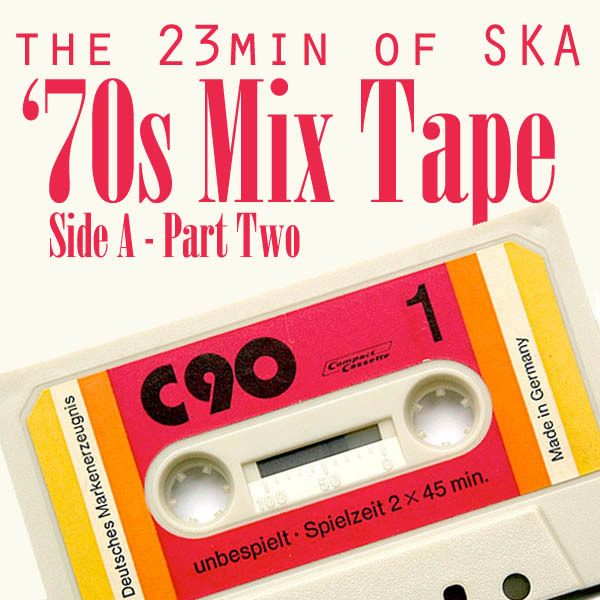 It’s part two of a 90min mix tape w/ a focus on the ’70s. Now let it be known that this isn’t a “best of the ’70s” kind of thing, just a bunch of great songs from that decade that have never been played on an episode of 23min of Ska before. I hope everyone else out there is enjoying this little history lesson as much as I do. It isn’t often that I have to do this much research, but I think everything is turning out awesome! 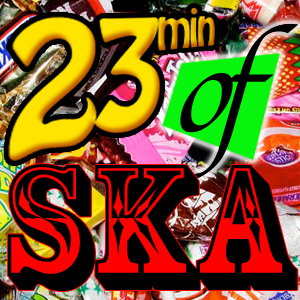 Welcome to a very Special episode of 23min of Ska. I know that the point of this podcast is to primarily be a third wave ska format podcast with the occasional first and second wave stuff mixed in, but today the first half is all first wave stuff! Why? Well I’m presenting to you the very first episode dedicated to a single band, and that band is the Specials. The first 4 songs are songs that inspired/were covered by the Specials, and the last 4 are covers of songs the Specials wrote. Easy. While “Monkey Man” and “Rudy, a Message to You” have been covered several times by other bands, the Specials did it first. It was pretty hard to decide which Prince Buster song to use, but after I heard it, I knew it had to be “Al Capone” because “Gangsters” is by far one of my favorite Specials songs. The one good thing about doing all this research is that I’m now a confirmed Lloyd Charmers fan, and I now know what the Specials are onto w/ the some of the lyrics from “Too Much Too Young”. In the covers section, I have to say I was very happy to’ve found the Aggrolites version of “Ghost Town”. It is pretty damn awesome, and after listening to about a dozen other versions it is truly the best one. I was also blessed to find the “Spare Shell: a Tribute to the Specials” compilation, which is where this Dr Ragu track comes from. This Goldfinger cover never fails to crack me up (but I really wish Johnny Socko had recorded their “Nite Klub” as it is the best I’ve ever heard) and finally rounding out the cast is Big D & the Kids Table with one of the best cover songs out there. This episode is a look to the past while being firmly rooted in today, hope you enjoy it. If you’re in a ska band and would like to be featured or if you know some music that you think I should hear for future inclusion, please email me at radjose[at]gmail[dot]com! I’ll play most anything. You can also subscribe to the podcast by going to your advanced tab on iTunes, then select “subscribe to podcast…” and entering this: http://23minofska.podomatic.com/rss2.xml into the box that opens. Plus, there’s always the fact that you can download it.